The Expo will be open daily from 20 October 2020 to 10 April 2021. There will be regular cultural events in the performance area of the German Pavilion even when the exhibition is closed. The organisers will announce the admission prices for EXPO 2020 at the Arabian Travel Market in Dubai in April 2019. Tickets are then scheduled to go on sale in October 2019, one year before the Expo opens its doors. Visitors to the German Pavilion will not require an additional ticket. 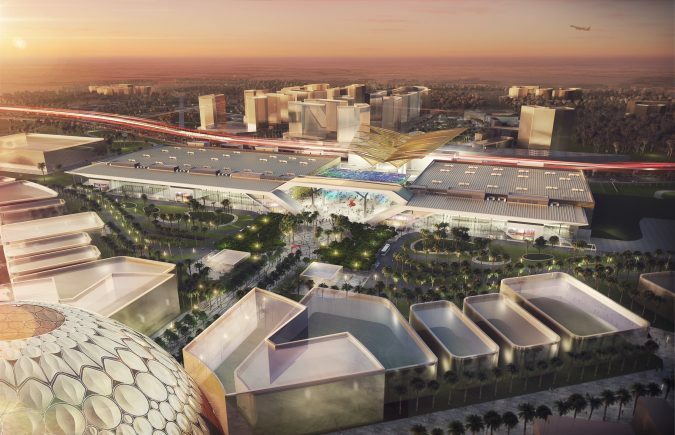 The Expo site is located in Dubai South, in the immediate vicinity of the new airport, Al Maktoum International. The site has an area of 4.38 km² and four main entrances, one of which connects to the metro station that is being built especially for the event. The metro will be able to transport up to 46,000 passengers per hour. From Dubai Marina, the new line will take visitors to the Expo site in just under 15 minutes. Large car parks are planned at each of the four entrances, providing up to 30,000 spaces free of charge. The German Pavilion plot is in the Sustainability District. Measuring 4,500 square metres, it is one of the largest. It is located in a prominent position on the main thoroughfare, a circular path connecting the various themes. The plot offers a direct view of the host country’s pavilion. What defines an expo and how are they different from trade fairs? An expo brings the countries of the world together to present their ideas, solutions and innovations concerning the current expo theme. Unlike a trade fair, there are no exhibitors and it’s not about B2B talks and new contracts. Expos are not primarily geared to experts in a particular field. First and foremost, they are intended for anyone and everyone – young families, schoolchildren, students, senior citizens, couples, friends and lone travellers. And the participating countries’ pavilions are designed to reflect that, with many of them adopting an edutainment approach. The goal is to give visitors an unforgettable, varied and entertaining day at the expo while also creating awareness of global problems. During their visit, they automatically engage with the questions raised by the expo’s overarching theme. And they leave with ideas that they can apply in their own lives to help shape a sustainable future. How often do world expos take place? There is a “world expo” (officially known as an “international registered exhibition”) every five years. They usually last six months and the participating countries can erect their own pavilions. The last one was in Milan in 2015. Dubai will be followed by Osaka, which will host the next world expo in 2025. Between the world expos, specialised expos are held every two to three years, focusing on a specific topic. They run for a maximum of three months and the exhibition site for the international participants must not exceed 25 hectares. The organisers supply the participants with a building shell to house their exhibition. The last specialised expo, on the topic of “Future Energy”, was in Astana (Kazakhstan) in 2017. The next one is planned to take place in Buenos Aires in 2023 and will explore the theme of “Creative Industries in Digital Convergence”. Who decides when and where which expo is to be held? These decisions are the responsibility of the Bureau International des Expositions (BIE), which is based in Paris. BIE is an organisation that countries can join and apply to if they wish to host a world expo. The BIE’s General Assembly decides where the expos will take place. Do expos still have a place in today’s world? Yes, definitely! Because we humans need to see things for ourselves, to smell, taste, hear and feel them. Only by doing so can we form an opinion about the expo participants’ pavilions. Nowhere else brings so many different people from across the globe together for six months to engage in a dialogue with each other. At an expo, visitors can “see the world” without all the travel. As they explore, they can learn a great deal about life in the participating countries and how their own lives might benefit from the ideas on show. No video, photo or website could ever replace that experience. At the same time, there is a particular focus at the world expos of the 21st century on content reflecting the chosen theme. The Dubai theme is “Connecting Minds, Creating the Future”, with the implicit message that we need to work together if we want to ensure a better future. World expos thus provide an unrivalled format as a forum for topics of importance to the world’s future – a forum that runs for six months. Is a visit to a world expo actually worthwhile? And why? Yes, because the different countries’ and institutions’ pavilions are extremely diverse, interesting and often spectacular. Many of them have exhibits or information that visitors can activate themselves and which let them interact with people from all over the world. After they have paid to enter the expo site, there are no additional fees to visit the pavilions. There are also free cultural programmes, run both by the expo organisers and by numerous participants. Plus, there’s a wide range of food available. In addition to being entertained, visitors can learn a great deal too – and there’s often an added wow factor. And, when they leave, they can take away with them wonderful memories of inspiring moments and encounters they will never forget. What can visitors to the German Pavilion expect? Friendly, fun and futuristic – at CAMPUS GERMANY, the focus will be firmly on the visitor, not the pavilion. CAMPUS GERMANY will convey knowledge and foster dialogue, focused on engaging, edutainment-based content. It will provide awe-inspiring imagery, fascinating architectural perspectives and high emotional value in the spectacular grand finale at the end of the tour. Personalised communication will be a core feature of the German Pavilion and visitors will be welcomed by name in their preferred language when they approach an exhibit. This will be made possible by the IAMU, the visitors’ digital companion for the German Pavilion tour, which will be hidden in the name badge that every visitor receives when they “enrol” at the start of the tour. Some exhibits will also ask visitors for their own views, with questions such as, “Would you agree that we can only tackle climate change by working together?” or “Would you agree that sustainability is one of the major challenges to secure a better future?” In the grand finale in the Graduation Hall at the end of the CAMPUS GERMANY journey, visitors will sit down on one of the swinging seats. The message here will be: we can preserve our planet and make it fit for the future – if we take our lead from the Expo theme of “Connecting Minds, Creating the Future” and join forces in a concerted effort. What will the German Pavilion have to offer children? There will be a special registration process for our young guests when visitors “enrol” as they wait in the queue. Inside, whenever a child approaches an exhibit, it will switch to child mode and present child-specific content. There will also be exhibits throughout the pavilion that have been especially developed for children. Facts and fiction, the agency responsible for designing the exhibition, have teamed up with Armin Maiwald, a key figure in German children’s television, to create this content. Do Expo participants get a share of the admission revenue? No, the organisers keep the admission revenue. After all, they provide the participants with extensive infrastructure, support for their planning and construction activities and a fully developed Expo site. The organisers are also responsible for advertising the event, which costs a great deal of money, and for visitor management en route to the site, at the entrances and on the site itself. So it is more than appropriate that the organisers should keep the admission revenue – it comes nowhere close to covering their costs. How much will Germany’s presence at EXPO 2020 Dubai cost? How big is the budget for the project? Germany’s federal budget has set aside a total of 50 million euros for the country’s Expo presence. This will cover the entire project: planning and coordination, exhibition design, architecture, construction, media systems, pavilion operations (including personnel costs) and, when the Expo is over, the dismantling of the pavilion. How will the German Pavilion be financed? Germany’s federal budget, which is adopted by the Bundestag and financed by taxes, includes an “Expo item” with earmarked funds to cover all of the costs for the German presence in Dubai. There is no provision for budget extensions, nor have there ever been any. Sponsoring is not used to finance the pavilion – with good reason. Private-sector investors in projects or events want to be able to have a say in the approach taken. But if you are trying to design a pavilion that follows a storyline from start to finish, accommodating sponsors’ interests is more likely to be counterproductive. Is this really a good way of using taxpayers’ money? Past German pavilions have always been very successful and popular, leaving a lasting impression on visitors and the media and certainly helping to ensure a strong nation brand. However, since no records are kept of, for instance, business deals arising from the expo, it is not possible to provide figures that could be used to measure the return on investment. What we can say, however, is that the invested tax money is used responsibly. All of the services are procured by means of a transparent tender process and the contracts are awarded on the basis of cost efficiency. 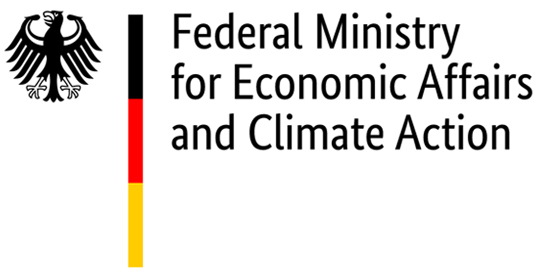 The Federal Ministry for Economic Affairs and Energy, which is in charge of Germany’s Expo presence, is particularly keen to ensure that the pavilion is a crowd-puller at the Expo and that there are no budget overruns. 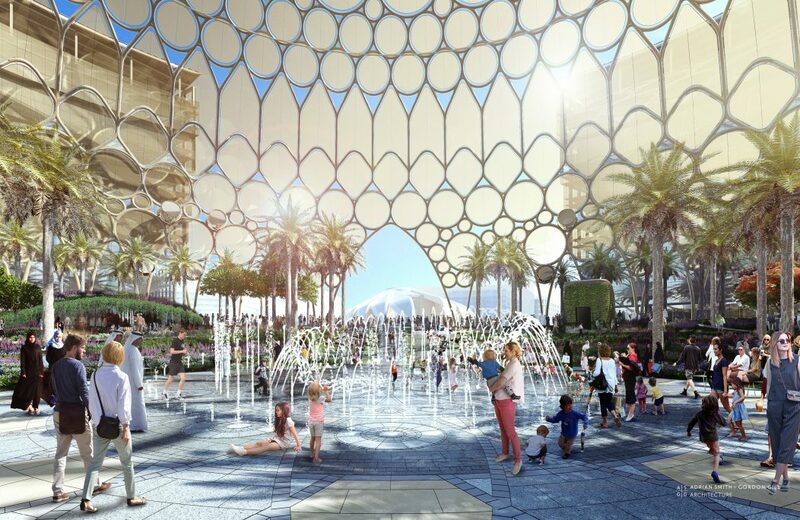 Germany has decided to build its pavilion in the Sustainability District of the Expo site. How much sustainability will there be in the German Pavilion exhibition? The exhibition will be a “curated” call for sustainability. With its powerful informative and emotion-stirring concept, it will make a strong case for a more sustainable future and put a spotlight on solutions “made in Germany” that could help turn that better future into reality. How is the concept of sustainability being incorporated into the building process? Sustainability will be visible in various areas of the construction process. First, in the energy needed to build the pavilion; second, in the air-conditioning during the Expo; and third, in the post-Expo use of the building elements. The German Pavilion will be built using lightweight construction methods to create a large usable area with just a few structures and materials and a small building mass. This will have a positive effect in terms of the energy needed to produce the materials and to build the pavilion. For instance, there is very little concrete or glass in the façade since both of these materials are very heavy and offer limited reusability. With regard to the air-conditioning, certain visitor areas will create shade for themselves thanks to strategic positioning of the building elements, thereby reducing the thermal load and thus the need for cooling. An intelligent climate management system will create zones with different levels of air-conditioning so that visitors are gradually cooled down as they move from one zone to the next. This too saves energy. There are also plans to use the roof to generate photovoltaic energy. Steel lends itself well to reuse and the architects at LAVA had already thought of this when they were drawing up their plans. Their innovative approach is to see building parts as “snapshots” in the materials’ lives and the pavilion as a sort of “warehouse”. For example, the roof of the German Pavilion, which has a frame that seems extremely complex at first glance, consists of numerous structures that are combined in an intelligent manner. It will serve as a supporting structure for six months and can then be reused elsewhere. For this purpose, specialists in data utilisation in architecture have developed an approach known as “Mind the Scrap”, which uses digital methods to calculate the best way to reassemble the existing elements. Why will the German Pavilion only be a temporary structure? The Expo regulations stipulate that the plot has to be returned to the organisers no later than six months after the end of the World Expo, i.e. by 10 October 2021 – in the condition in which we received it. In other words, we have to dismantle everything that is erected on it. It is for that reason that the pavilion is designed as a temporary building to cope with large visitor numbers for the six months of the expo. It will be a lightweight structure and meet the needs of an expo presence, with very special rooms and areas such as the exhibition itself, restaurant, office wing and the VIP lounge. Any form of re-use after the expo would require extensive conversion and upgrading as well as organising and financing. Experience has shown that expo pavilions can be operated successfully at these mega events. Indeed, part of an expo’s charm is that it only exists for a limited period. Two or three years later, the next expo comes along at a different location, with a different theme and with a new German Pavilion.